The final execise in Front Line was to prepare a display for a catagory of library users. 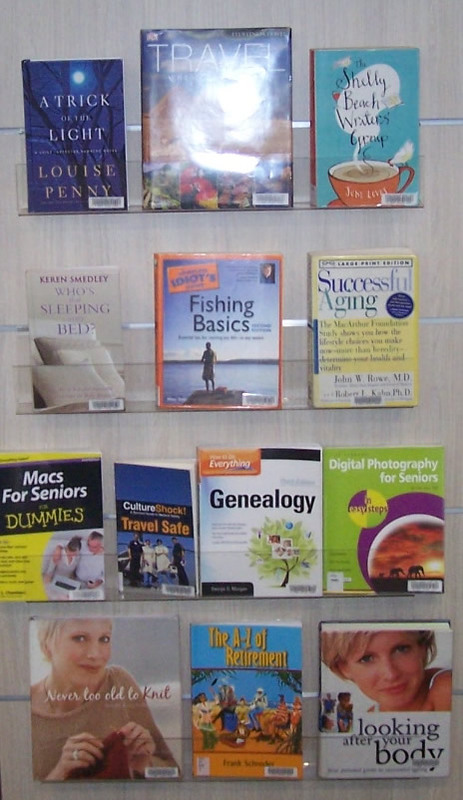 This display was prepared generally for Baby Boomers (and older readers). 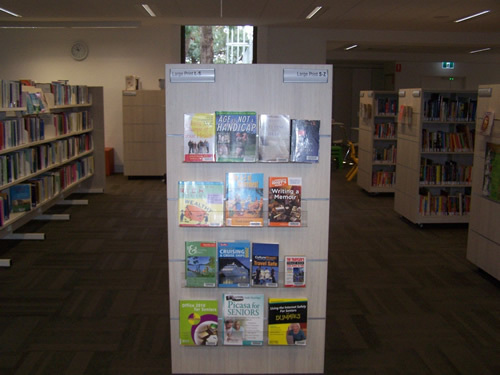 The First Display showing general location within the library. The books were displayed at the end of a bay in the Large Print section of the library. It was in an area passed by people (including grandparents) taking children to the Children's area. It was also close to the Non-Fiction section. Second and third versions of the display. 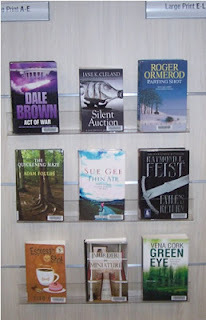 Books were on display for three weeks. Many of the books in these displays were non-fiction to highlight a number of library collections. 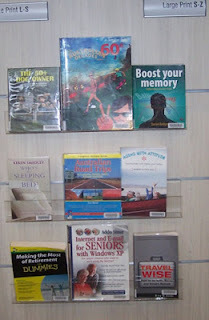 The focus was on recreational reading. so only three shelves were used. Displays were on the end of two bays - one fiction and one non-fiction. 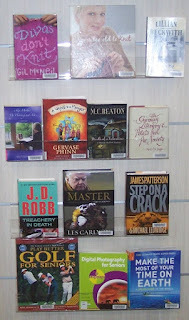 mixture of fiction and non-fiction in each display.